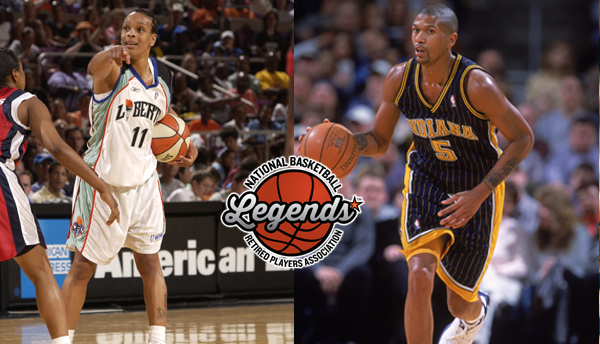 The NBRPA’s membership includes 42 of the most iconic players in NBA history. Membership in our Association has grown more than 15 percent in the past 12 months. Some of the latest additions to our growing membership include Michael Jordan, Alonzo Mourning, Yao Ming, Antoine Walker, Kenny Smith and Jay Williams. Note: Alums 70+ years of age can be members FREE of charge. Current and past annual members are awarded weighted credits toward Platinum lifetime membership based on past payment of annual membership dues. 50% Platinum Membership Credit – Each Annual member of 10+ years who has been current and up to date with their membership (no drop-off period) will receive a 50% ($1,750.00) credit towards Platinum membership; reducing their cost to $1,750.00. NBA, ABA, WNBA or Globetrotters Alumni are eligible for membership in the NBRPA. Our Association is an exclusive fraternity and sorority that offers unique fellowship and a host of programs to help former players navigate life after basketball.